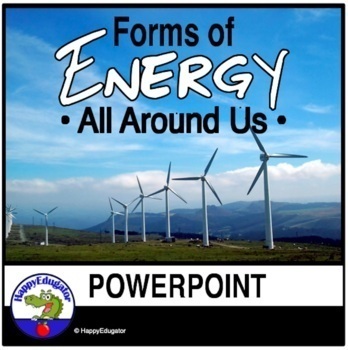 PowerPoint on the Forms of Energy. 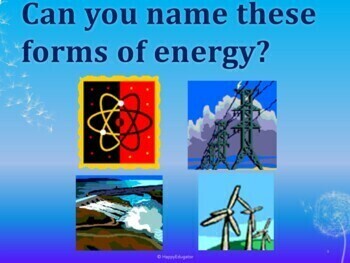 Introduces 7 basic forms of energy. 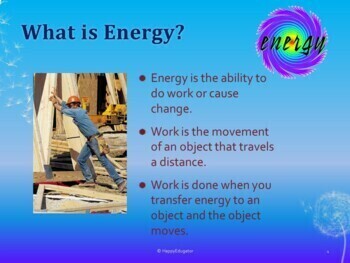 Defines what energy is, and explains the different types of energy including Mechanical energy - potential energy and kinetic energy, Thermal energy, Chemical Energy, Electrical Energy, Electromagnetic or Radiant Energy, Sound Energy, and Nuclear Energy. Animated clips make it fun and engaging! 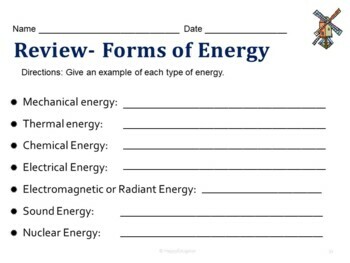 Use as an introduction to your unit or as a review. 29 slides. Updated graphics and information 2017. © HappyEdugator. For classroom and homeschool use.